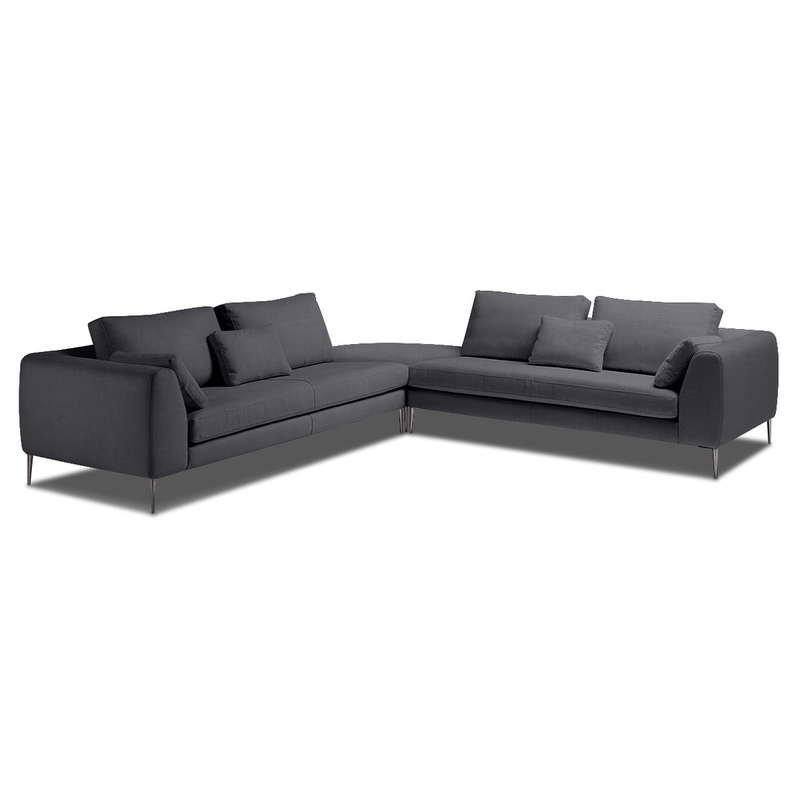 The Singapore corner sofa by Alterego Divani: modern sophistication perfect for large environments. 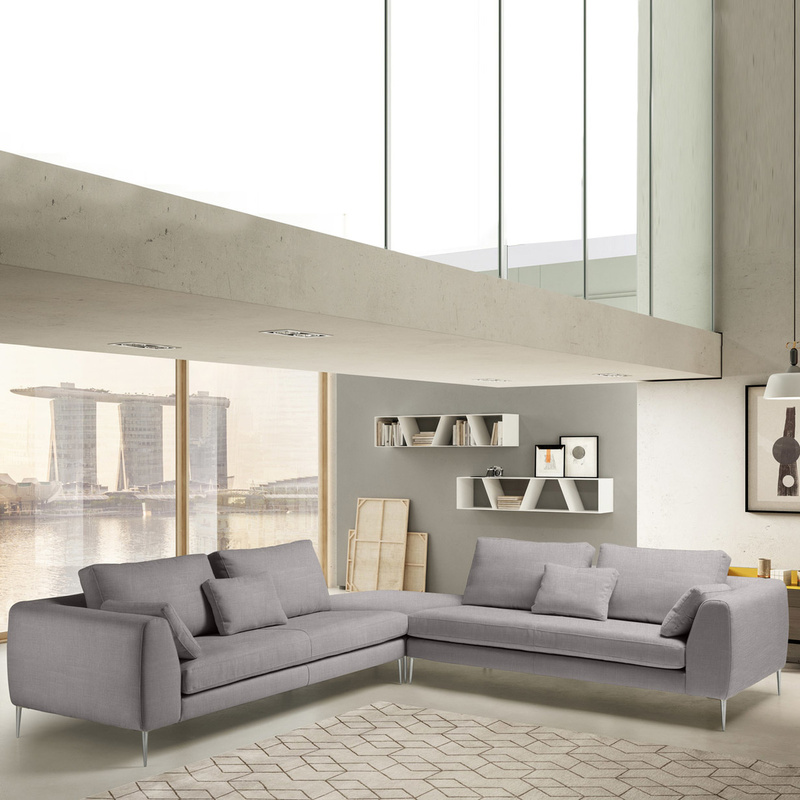 The Singapore corner sofa is a bold and fascinating piece created by Alterego Divani, an Italian brand highly appreciated for the great quality of its products and their elegant originality. 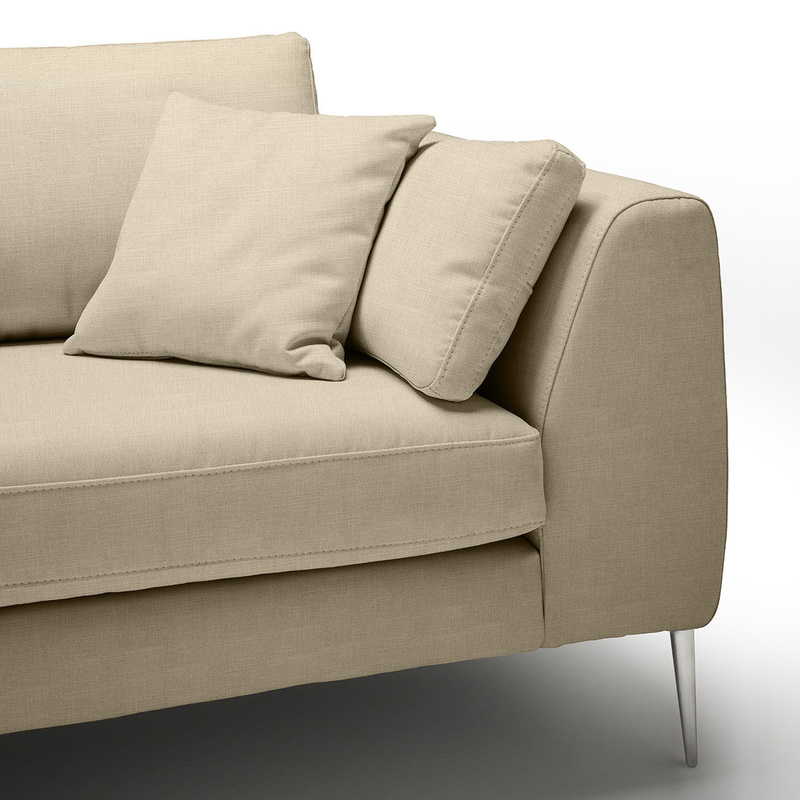 Singapore is a modern sofa, a sober and sophisticated piece that can be placed in the most diverse contexts. 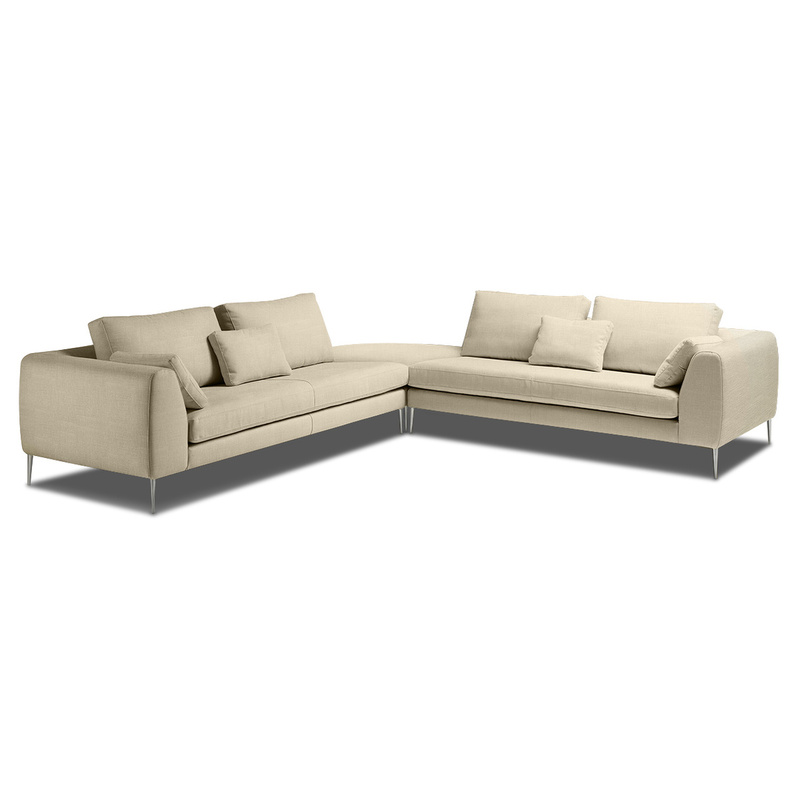 Alterego Divani proposes the Singapore sofa in different models and the one in question is made special by its large size. 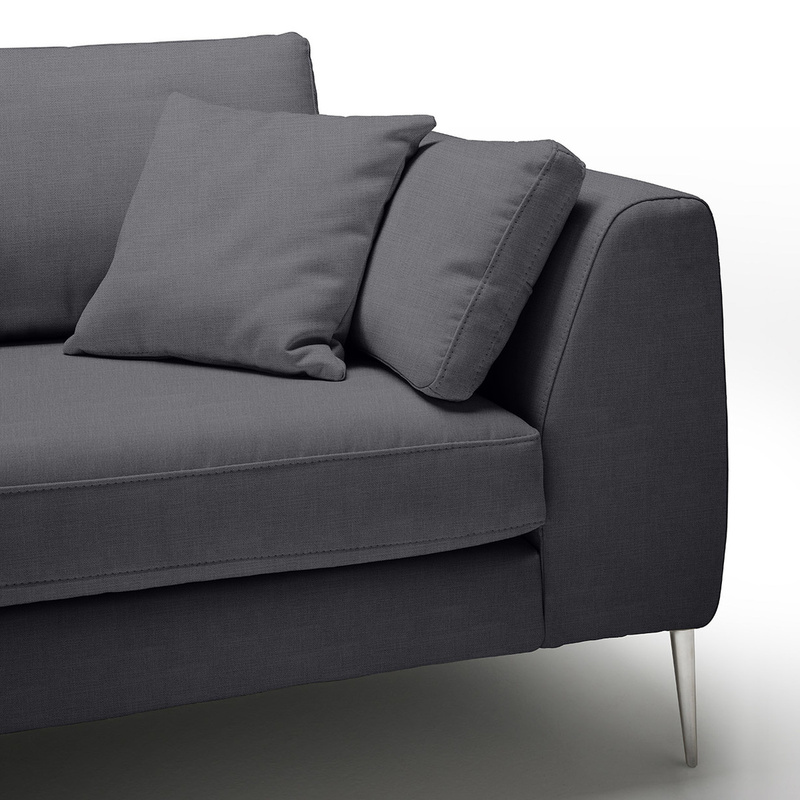 It is thus perfect for medium and large rooms, or in any room where you want to accommodate a few people. 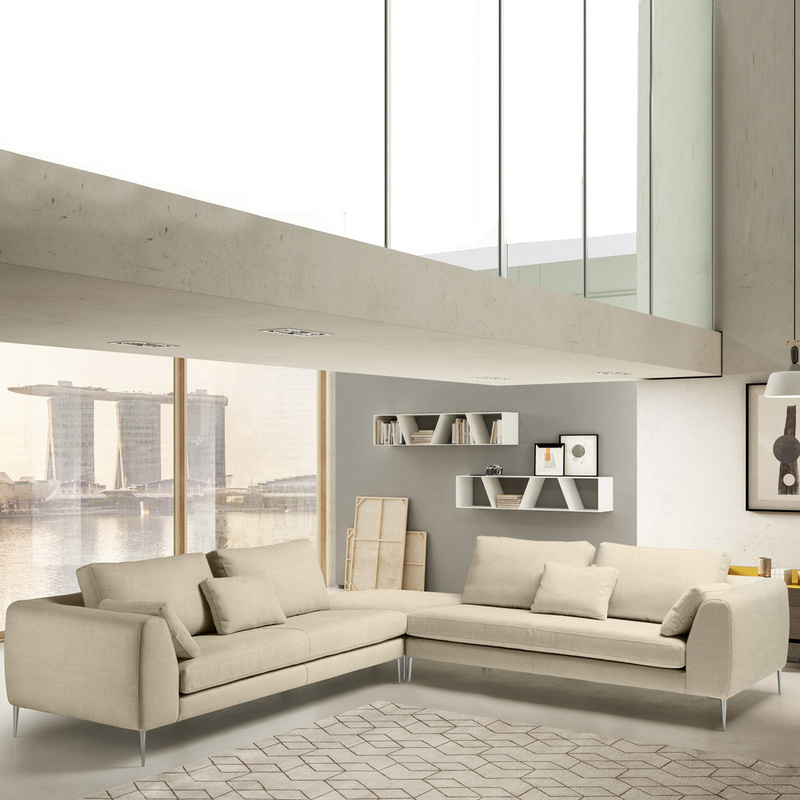 As a corner sofa, this Singapore model should ideally be placed at a 90° angle yet many interior design experts choose to place this Made in Italy sofa with only one of the two sides against the wall, or even in the middle of the room. Perfect to match a rectangular or square table or an ottoman, this Singapore sofa features a large, smooth seat, sloping pillows that take on the role of backrest, and wide armrests in an unusual shape. 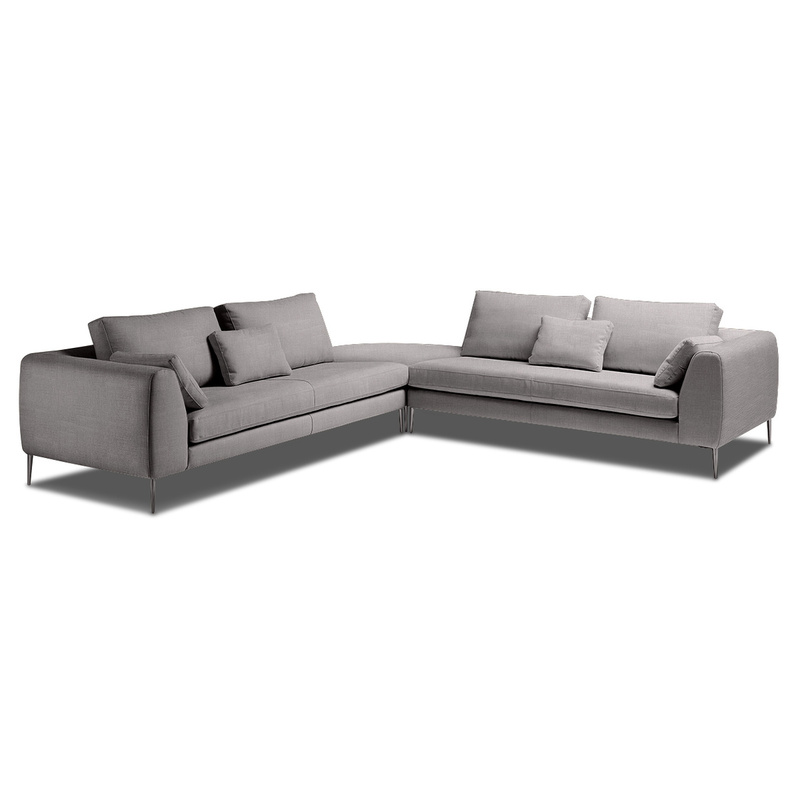 The supporting legs, slim but durable and made in a mix of steel and aluminium, further accentuate the elegance of this piece. 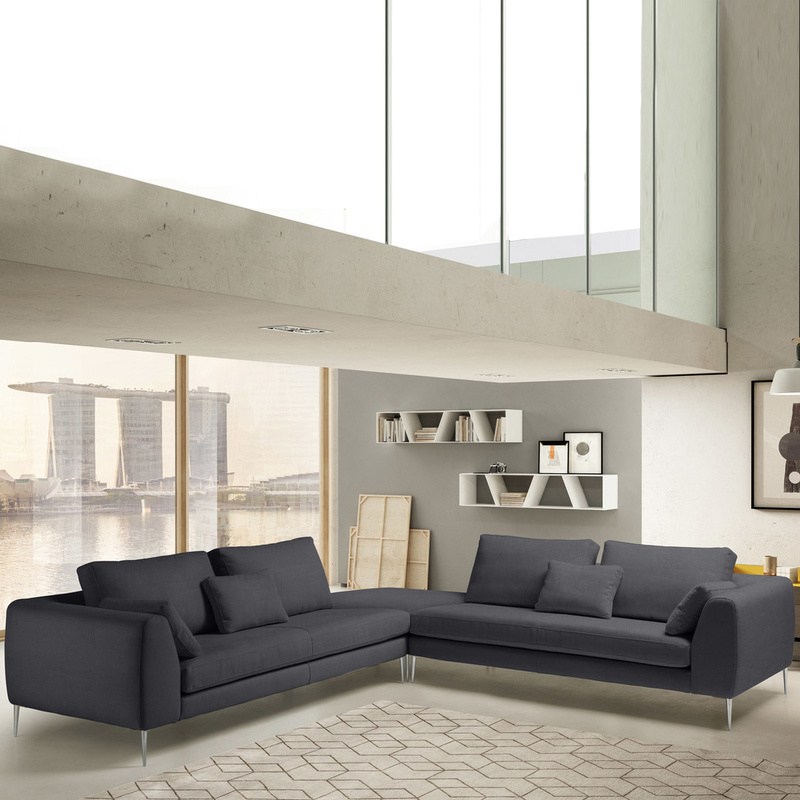 The Singapore couch, however, is not only modern in style but also comfortable thanks to the special ergonomics of this piece and to the padding made in soft foam polyurethane and double-strength polyurethane. The internal structure of the item ensures great durability thanks to the fir wood, OSB, and Masonite used. Technical Information: Abrasion resistance: 25,000 cycles. Do not use oxidants or bleaches. Colours are subject to change according to different colour baths. 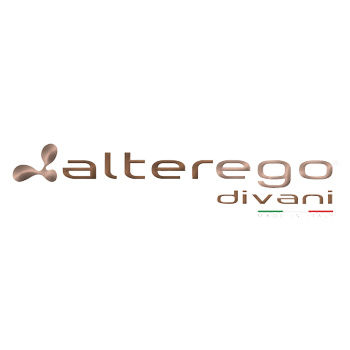 Founded in 2006 yet with a 30+ years’ experience, Alterego is a brand that specializes in padded furniture such as sofas, armchairs, and beds. 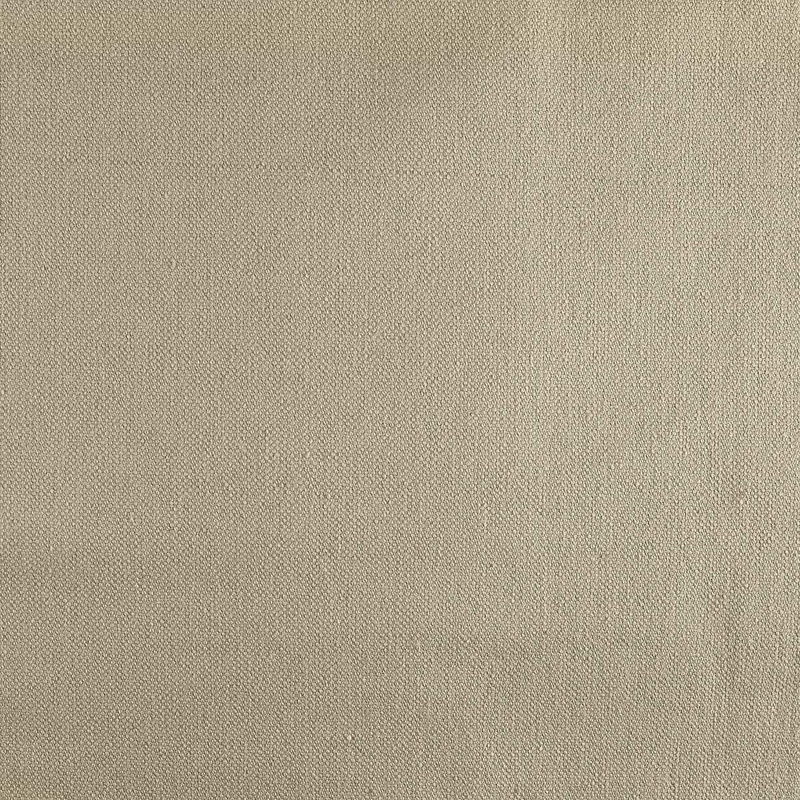 The production process of these items is carried out entirely in Italy, ensuring an extraordinary quality of both materials and processing techniques that follow the country’s long tradition of craftsmanship.